As the traditional crossroads for trans-Saharan trade routes, the Upper East Region, in the north-eastern corner of the country, is the gateway to Ghana from Burkina Faso and Togo. The Upper East Region is an excellent tourist destination in its own right, offering visitors an exciting introduction to Ghana. With a population of 1million, it is the second-smallest of the country’s 10 administrative regions. The regional capital, Bolgatanga- locally known as Bolga- has always been a meeting point for traders from Mali and Burkina Faso travelling south to Temale and southern Ghana. Bolga is a center for farmers, livestock and handicrafts including straw hats, baskets, cloth and jewellery. The twice-weekly market is the perfect place to meet traders from all over the region and to bargain for basket ware, leather goods and traditional clothing. 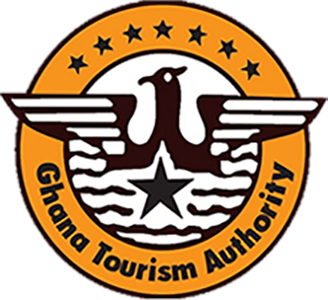 The region’s many exciting visitor attractions include the Paga Crocodile pond, the Bolgatanga Museum and the Kulungugu Bomb site, where an attempt was made on the life of Ghana’s first presidents, Dr Kwame Nkrumah. Other places of interest include the three point elevation at Pusiga, the Tongo Hills and the mud-built Navrongo church, with its beautiful decorative designs by local artisans. A speciality in Bolgatanga is hand-spun fugu cloth, which visitors can buy in the markets. The area is home to various ‘must see’ place of culture and history. They include the archaeological treasures of the River Sissili Basin, the ghostly whistling and drumming Tongo Rocks at Pwalugu and Chiana, the Awologo-Tango at Bongo, the wall decoration at Tilli and the Naa Gbewaa Shrine. Also worth a visit is the Sandema in Builsa where Builsa warriors captured and killed the slave raiders Samori and Babatu to mark the end of the slave trade in northern Ghana. Visitors can also see the Paga-Nania slave camp, the mystery dam of Kayoro called Kukula, the Gbelle Game Reserve, the Sombo Bat Sanctury and the Nasaga Game Reserve, just 8 km from Burkina Faso and Paga. The region is host to many festivals throughout the year, most traditionally linked with a good planting season or a good harvest. Festivals such as the Feok, Willa, Kakube, Azambene, Gologo and Fowl draw many tourists to the region. The Samanpiid festival is a particularly large event held by the Kusasi people in the Kusaug traditional area in the harvest season. Villages have distinctive building styles that have evolved through the generations. The unique round huts of the Upper East Region are a key part of the visitor experience along with its communal activities that are part of a long tradition. Only 21 percent of the population live in towns, while the reminder live in widely dispersed rural settlements. As the least urbanised area in Ghana, the Upper East Region offers a peaceful gateway for visitors. Crocodiles are usually regarded as wild and sometimes dangerous creatures, but visitors to the town of Paga, on the border with Burkina Faso, can visit a sanctuary where the crocodiles actually coexist harmless with humans. However the crocodiles came to make their home in a large pond in a landlocked area has always been a mystery. Yet the crocodiles within the sacred Chief’s Pond are supposedly as safe as any household pet and the Paga people certainly treat them as such. Young children swim in the pond and local people wash their clothes next to the lethal jaws of the crocodiles without fear. The legend is that the crocodiles embody the souls of departed villagers. It is an offence to harm, kill or show disrespect to the crocodiles. Under the supervision of custodians, however, visitors have an opportunity to sit on the back of a crocodile or hold its tail. Astonishingly, no one has ever been harmed by any of the 110 crocodiles in the sanctuary. Paga is an excellent starting point for visitors seeking a wild African experience.